All you need is less work and less worries. Let us work for you and your loved ones. Over 30 years of experience in residential cleaning and over 15 years of experience in non-medical care. The living space of you and your loved ones is very important for your health and safety. Our housekeepers can help keep order in yours and your loved ones' homes on weekly, bi-weekly or monthly basis. We can take care of moving in/out cleaning, deep / Spring cleaning, renovation cleaning. If you wish we can use co-friendly supplies and a HEPA filter vacuum. Our crew will ensure that everything is clean, fresh, well organized, in place and safe for all household members. Live-in home care allows you or your loved ones to remain home and continue to enjoy familiar routines and surroundings. We try to keep our clients’ lives as normal and happy as possible. 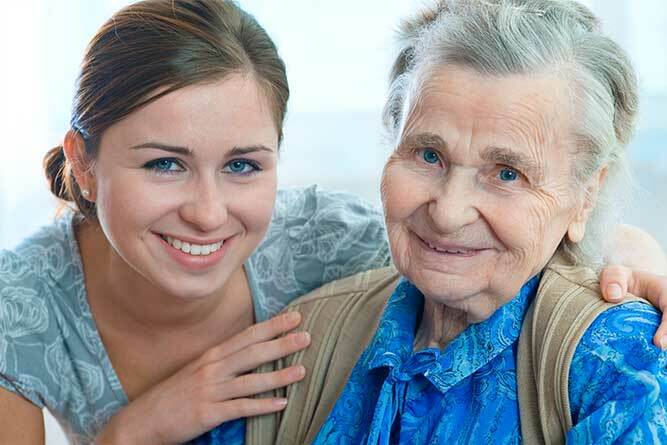 The caregiver will stay in their homes and provide the necessary individualized help they need. Either as live-in caregivers or on hourly basis, we can enhance their happiness and independence while avoiding feelings of isolation. Our caregivers will do their best to ensure the days go by faster and are filled with companionship. or in conjunction with our other services. We are proud to serve clients across a broad area of Central Connecticut. Our current service areas in CT: Avon, Berlin, Bloomfield, Bristol, Burlington, Canton, Collinsville, Cromwell, East Berlin, East Glastonbury, East Granby, East Hartford, Farmington, Glastonbury, Hartford, Manchester, Middlefield, Middletown, New Britain, Newington, Plainville, Plantsville, Portland, Rocky Hill, Simsbury, South Glastonbury, South Windsor, Southington, West Hartford, Wethersfield, Windsor.